Steve-O, star of MTV's Jackass, has voluntarily entered into a mental institution, complaining that years of drug abuse had affected his mind. 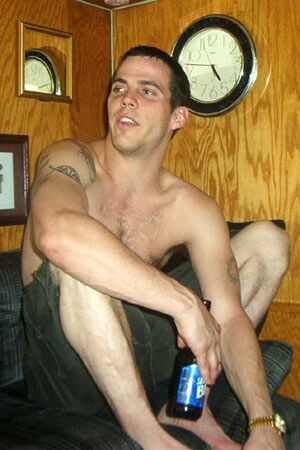 Steve-O the star of MTV's Jackass, has told fans via his blog that after almost 4 months of sobriety – he's had enough and as he puts it, is "Heading back to the looney bin." His lawyer and spokesperson would not comment on where or for how long he would be away in a private mental health facility, but Steve-O, who's real name is Steven Glover, explained that, "I did so much cocaine, Ketamine, PCP, nitrous oxide and all sorts of other drugs that, quite simply, my brain is f--ked up." Glover had been court ordered to complete a stay at rehab, which he did, after felony cocaine charges and a suspected vandalism. The 4 quadrant model provides a framework to help you understand what types of co-occurring disorder treatment you need most. For people already predisposed to mental illness (people with mental illness in the immediate family, for example) experiencing stress during adolescence likely increases the risk of experiencing mental illness as an adult.